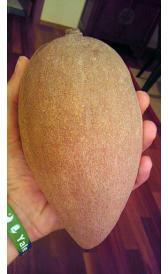 Raw mamey sapote: This food is low in protein, total lipid and calcium but Raw mamey sapote has total sugars and vitamin b6 in high quantity. Raw soursop: In this food there are some nutrients that are found in low quantity, for example protein, total lipid and calcium. Raw strawberries: High in vitamin c and low in food energy, protein and total lipid. Raw tamarinds: This food is low in total lipid, sodium and zinc but Raw tamarinds has carbohydrate, total sugars and magnesium in high quantity. Raw watermelon: Raw watermelon is low in food energy, protein and total lipid. Raw feijoa: In food has a low quantity of protein, total lipid and calcium. Raw asian pears: In food has a low quantity of food energy, protein and total lipid. Raw pink grapefruit juice: Raw pink grapefruit juice is low in food energy, protein and total lipid. 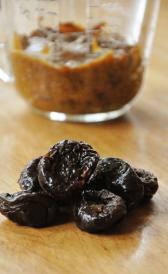 Medjool dates: Medjool dates is high carbohydrate, total sugars and potassium. On the other hand. is low in protein, total lipid and sodium. Raw or frozen durian: Raw or frozen durian is low in protein, total sugars and calcium. Prune puree: This food has a low quantiti of protein, total lipid and magnesium but has a high quantity of carbohydrate, total sugars and potassium. Candied fruit: This food is low in protein, total lipid and ash but Candied fruit has carbohydrate and total sugars in high quantity. Raw abiyuch: This food has a low quantiti of protein, total lipid and calcium but has a high quantity of vitamin c.
Raw rowal: High in copper and low in total lipid, ash and calcium. Raw clementines: Raw clementines is high vitamin c. On the other hand. is low in protein, total lipid and ash. Canned guanabana nectar: Canned guanabana nectar is low in protein, total lipid and ash. Canned guava nectar: In this food there are some nutrients that are found in low quantity, for example protein, total lipid and ash. Canned mango nectar: In food has a low quantity of protein, total lipid and ash. Canned tamarind nectar: Canned tamarind nectar is low in protein, total lipid and ash. Bottled pomegranate juice: In food has a low quantity of protein, total lipid and total dietary fiber. 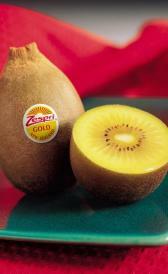 Raw gold kiwifruit: Raw gold kiwifruit is high vitamin c. On the other hand. is low in protein, total lipid and calcium. Fried green plantains: Fried green plantains is low in protein, calcium and sodium. Unsweetened frozen nance: Unsweetened frozen nance is high vitamin c. On the other hand. is low in protein, total lipid and iron. Horned melon (Kiwano): In food has a low quantity of food energy, protein and total lipid.